Promotes, sells, and retains commercial business solutions for voice, data, and video. Target customers include: small, medium and large businesses, educational, government, carrier and national accounts, as well as other specific market verticals (such as hospitality). Leads and motivates a team of technical sales professionals and IPC Coordinators to meet or exceed sales and install goals. Develops team strategy, forecasting, reporting, analysis, financial forecasting and administration of sales channel. Assigns territories, customer sales opportunities and sales goals to technical sales professionals. Coordinates effectively with Residential, Operations, Engineering and Center counterparts to maximize sales opportunities, ensure high quality product delivery and customer service. Works with sales peers to ensure that all customer leads are passed to the appropriate sales professionals. Achieves business objectives and call center or outside sales performance goals while ensuring the highest level of operational efficiencies. Accompany outside Account Execs on sales visits as needed as well as determine customer requirements, develops proposals and executes technical presentations. Reviews proposals created by Account Execs to provide necessary input. Ensures Building Access Agreements are negotiated and maintained to Cox Communications best interest. Interfaces with Operations & Engineering to ensure network availability/serviceability before orders are finalized. Understands the core network and communicates network changes to the sales team. Collaborates with product managers to ensure the sales team's understanding of new products and provides product feedback. Hires, develops, performance manages, and trains employees. Motivates and coaches staff to achieve department and company goals. Disseminate company goals and direction as announced by senior team to all direct reports. Controls expenses while meeting or exceeding revenue goals and maximizing ROI. 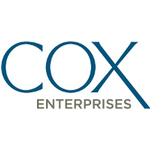 Remains current of technical information regarding Cox's telephony, data and video products and offerings, CPE, networking, consultative sales skills and sales management and negotiation skills. Typically requires BS/BA in related discipline. Generally, 7+ years’ experience in related field. Certification is required in some areas OR Advanced degree and generally 5+ years’ experience in related field. Understanding of data, video, voice, converged-networks, managed services, including cloud services. SUPERVISION - Typically supervises supervisors/team leaders and/or a team of exempt professional individual contributors and associated support staff. Position could also supervise non-exempt employees. TECHNICAL/ADMIN WORK PERFORMED - May spend a significant portion of time as an individual contributor performing assignments that require a higher level of experience or technical expertise than direct reports OR May be an in-depth functional manager OR May manage complex projects or processes.